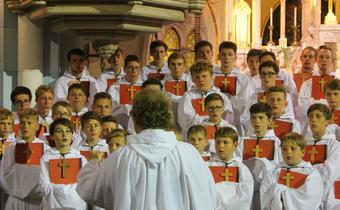 St. Martins is a boys and men's choir from Biberach in Southern Germany founded in 1962. The choir sings sacred music – usually a cappella. Their repertoire covers all the periods in musical history – from Gregorian Chant over Bach and Mozart up to modern composers like Poulenc or Miškinis. St. Martin's Boys Choir will be having a concert at Holy Trinity on Monday, June 10 at 7pm.